One of the key components of mindful eating is chewing your food with awareness. This may seem like a simple concept, but when is the last time you were truly conscious of chewing? Give it a try. The next time you take a bite, pay attention to the number of times you chew and your natural reflex to swallow. It may startle you as many people, consider their fast-paced lives, chew each bite a mere two or three times. The simple act of consciously and purposefully chewing your food can have a significant impact on your health, weight and even your overall enjoyment of a meal, yet most people mindlessly scarf down meals every day. You probably do not think much about chewing while eating your food. Chewing is indeed important for your health. chewing your food properly helps in proper digestion, absorption of essential nutrients and keeps several diseases at bay. When you chew your food properly, your body gives out digestive enzymes which help to break down the large particles into smaller ones. Smaller particles are easy for you to digest. If your food is not properly digested you can suffer from many digestive issues like bloating, stomach pain, indigestion, headache, constipation and also exhaustion. The number of times you are actually supposed to chew your food depends on the type of food you are eating. Softer food items break down easily and are also easy to digest. Chewing your food for a longer time helps your food to come into direct contact with your saliva. The saliva helps to lubricate your food making it easier to pass down through the esophagus. Digestive enzymes present in your saliva also start the process of digestion. Chewing can be a good workout for your gums and jaw. It keeps your teeth bones stronger. The saliva released clears any food particles stuck in your mouth, there is less plaque build-up and it also prevents tooth decay. To chew food properly you must eat consciously and when you slow down, you are instantly eating less. When you slow down how quickly you're eating, you allow yourself the chance to be aware of your natural hunger and satiety cues, which can decrease your risk of overeating. Try chewing each bite anywhere from 15 to 30 times depending on the food. Notice how it changes the pace of your meal. This simple process prevents you from overeating and helps you to avoid any excess weight gain. Your food most of the time contains bacteria and saliva helps in killing some of them because it has antimicrobial agents such as secretory IgA and lysozyme. So if you are eating longer and slower, it gets time to kill the bacteria which might affect your digestive process. Properly chewing every morsel of your food lets you taste and enjoy the food you are eating which helps you in staying fit and healthy. The way you chew is unique to you and is probably deeply ingrained by this point in your life. In other words, you’ll likely need to make a conscious effort to change the way you chew, but the good news is you can start with your next meal. There are many theories about how many times you should, ideally, chew each piece of food. The Times of India recently highlighted Horace Fletcher, a late-1800s health-food guru (also known as “The Great Masticator”) who was famous for chewing each bite 100 times before swallowing (and to this, he attributed his good health, strength, and endurance). You needn’t be this strict, however, as the amount of chewing a food requires will obviously vary depending on its type and texture. 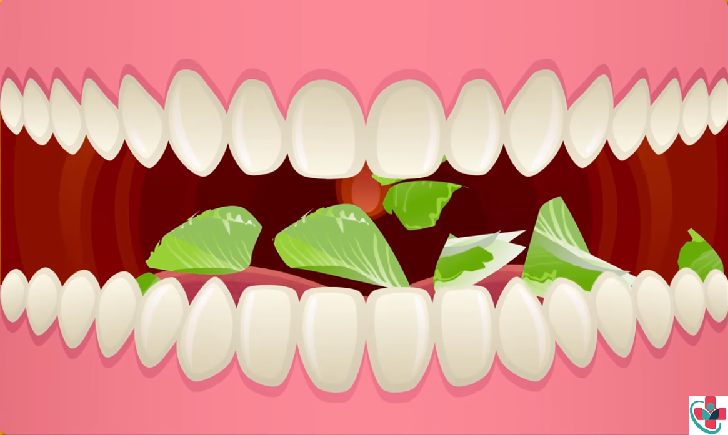 Here’s a guide to ensure that you’re chewing in a way that will support your health. Generally speaking, you’ll want to eat in a relaxed, non-distracted environment; eating on the run or while you’re working or watching TV is not conducive to proper chewing. While chewing is essential when you eat, chewing without eating food can be counterproductive. When you chew gum, for instance, you send your body physical signals that food is about to enter your body. The enzymes and acids that are activated when you chew gum are therefore released, but without the food, they’re intended to digest. This can cause bloating, an overproduction of stomach acid, and can compromise your ability to produce sufficient digestive secretions when you actually do eat food. Besides this, chewing gum can cause jaw muscle imbalances (if you chew on one side more than the other) and even TMJ or temporomandibular joint disorder in your jaw, which can be a painful chronic condition. I generally recommend avoiding gum chewing, but if you do chew gum, do so only occasionally or right before a meal when the acid and enzyme stimulation may actually be beneficial.